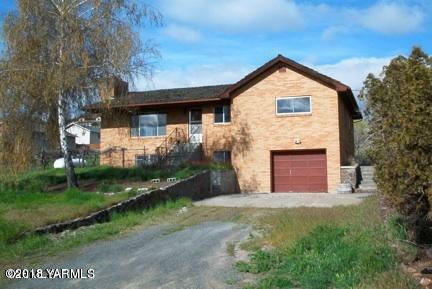 It is a brick home on the edge of Selah, 2,386 sq.ft, 4 bed, easy 5th bedroom possible. 2 Bath plumbed and wired for 2nd kitchen, which would make a great mother-in-law apt. 2 fireplaces with inserts, carpet, tile and laminate floors. Possible Seller contract with large down.